Dorothy Strachan is a partner in Strachan-Tomlinson, a process consulting firm in Ottawa, Canada. 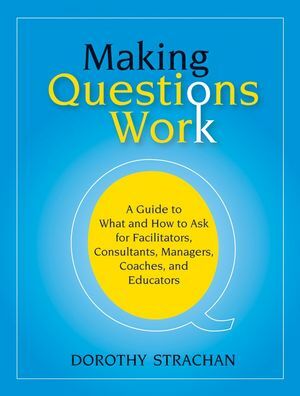 She is the author of Making Questions Work and Process Design, both from Jossey-Bass. Marian Pitters is the president of Pitters Associates, a management consulting firm located in Toronto, Canada. 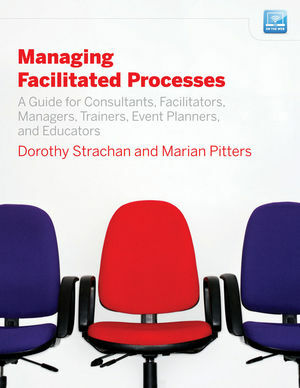 ?She has authored a number of manuals on facilitation and public adjudication. PART 1: FROM CONTACT TO CONTRACT. Decision Making After the Screen. 2. Building Agreements That Work. Agreements in Action: Four Maxims. 1. Don’t Start Work Without an Agreement. 2. Bring Fresh Eyes to Your Experience. 3. When in Doubt, Write It Out. Work Plans and Cost Estimates. PART 2: APPROACH AND STYLE. Completing a Process Management Prompter. The Approach in Action: Integrated, Customized, Systematic. PART 3: MANAGEMENT X 5: PARTICIPANTS, SPEAKERS, LOGISTICS, DOCUMENTS, FEEDBACK. Clarify the Rationale for Participation. Monitor the Mix and Number of Participants. Select and Set Up the Site. Match the Documents to the Process. Make Documents Easy to Use. Review Feedback Approach and Tools. Finalize and Produce Feedback Tools.